Need fresh content for your device? 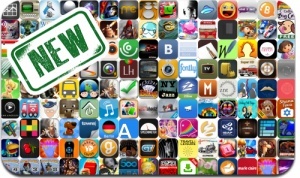 Here are 151 apps that just hit the App Store. This new apps alert includes Infinite Warrior, Phantom of the Opera: Mystery Legends, Gems With Friends, IQ Mission, Disney Fairies Fashion Boutique, Super Sprites, Motor World Car Factory, VS. Racing 2, 1st Warzone Getaway, Nightmares from the Deep: The Cursed Heart, and many others.